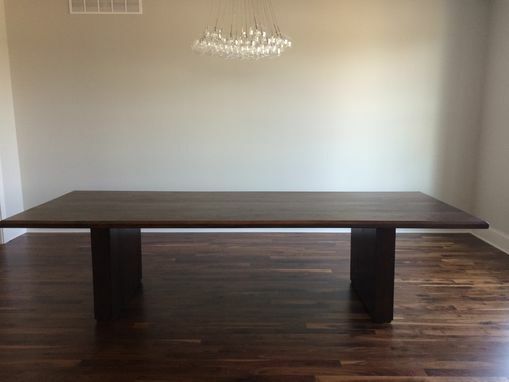 45 degree beveled edge walnut dining table. 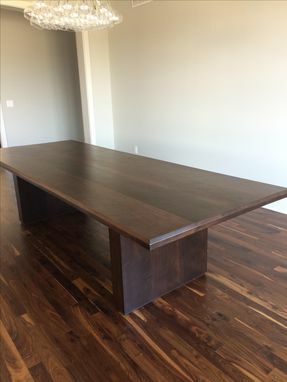 This table as shown is 10' long and 45" wide. The top is 1 7/8" thick. 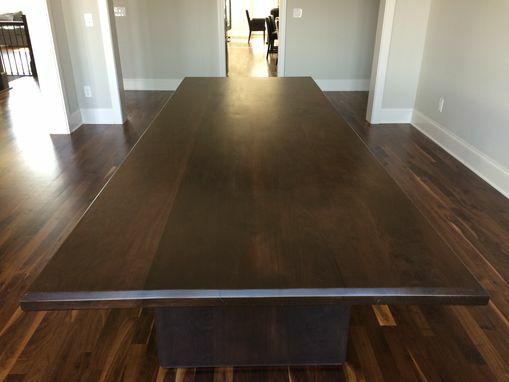 Sitting atop two walnut boxed pedestals constructed of 1" thick walnut. 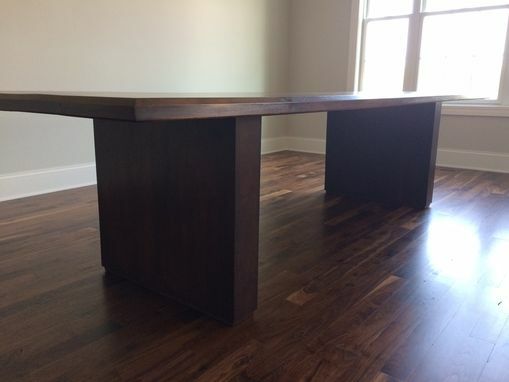 Reinforced with angled steel, this table it set to last, and look beautiful every step of the way! This table can be customized to any dimensions and price will vary as such. Please inquire about shipping to you specific location.